We understand Domestic Express Distribution shipping is an integral part of your supply chain. 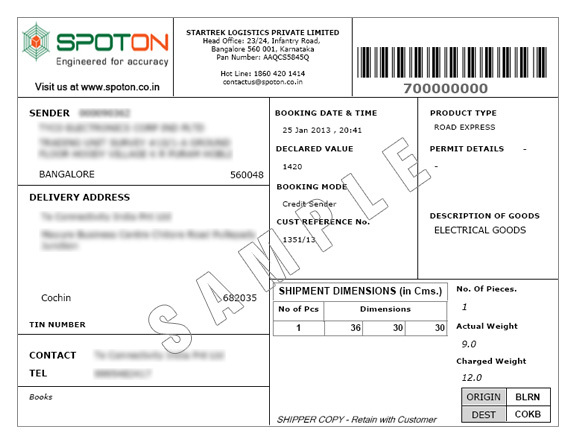 In order to ensure that this is done with ease and speed for activities like consignment note preparation , preparation of labels, we bring in a comprehensive solution in the form of SPOTON Web Shipping Tool. SPOTON's integrated WST is one of the most comprehensive online shipping solutions which would help you as a customer to manage your express shipments in the most effective and efficient manner. 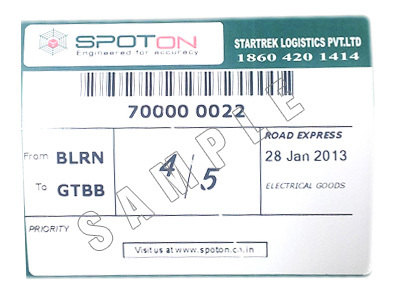 Through SPOTON's WST now you can store addresses, print labels, print consignment notes, track shipments, register pickups, set up shipment alerts and do much more... This WST solution enables you to take charge of your express activities and be in control. SPOTON's WST is extremely easy to understand and requires virtually no training and from Day 1 your team will be able to use the same and manage Ship-Track-Delivery-Invoice in one go. How would WST help you as a Customer ? What one needs to start using SPOTON's WST ? How to get Web Shipping Tool ? System or Manual Con Series entry while booking. 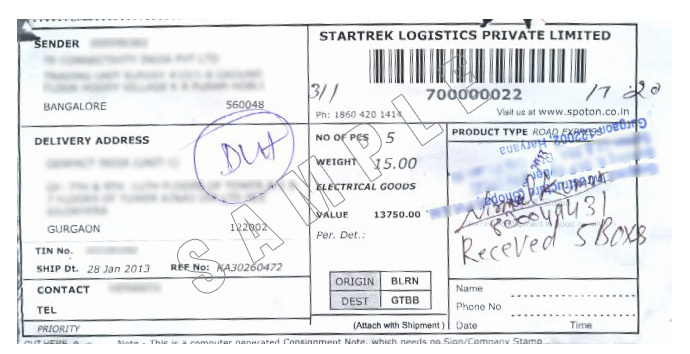 Con Pieces printing for not booked consignments o (Can print 'From' and 'To' location, Con Number, STL Product type and Con content details).